The only thing that would cause me to re-visit The Hangover Part II is by receiving a promotional copy from Warner Brothers on Blu-ray. This is an example where I can occasionally be out of step with the viewing public. This became a huge hit ending up as the 4th biggest film of the entire year. No small feat considering it was rated R and ostensibly precluded a large audience from seeing it without a parent or guardian. But in actuality R rated comedies ruled in the summer of 2011. 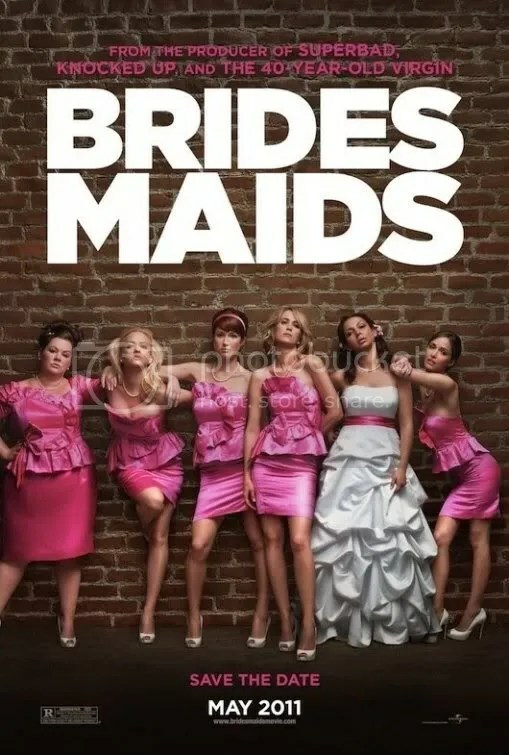 Bridesmaids, Horrible Bosses and Bad Teacher were all released to box office success. 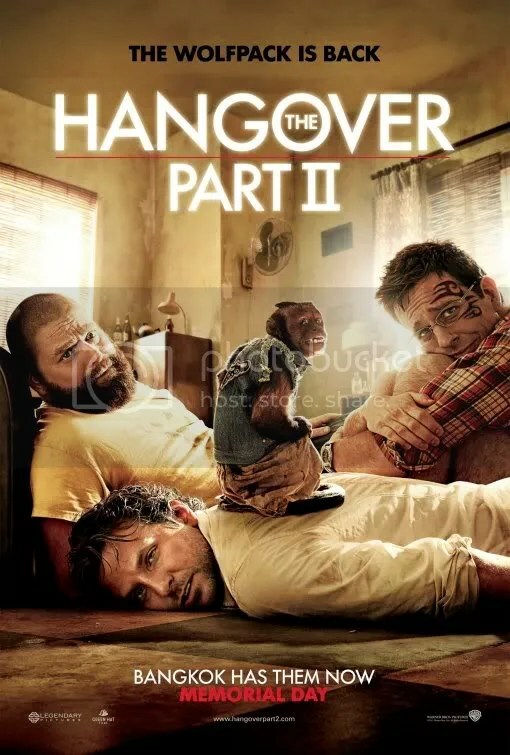 However The Hangover Part II was the highest grossing of them all. Gross is a particularly apt word as this is pretty hard to watch in parts. I will admit that the utter squalor presented here looks even more vibrant on Blu-ray than I remember in the theater. Stu and the gang travel to Thailand for his wedding. Another wild night ensues when their buddy Alan drugs them (again) as he did in the first film. I don’t know about you, but if my friend drugged me even once, they wouldn’t be my friend anymore. Given his history, when Alan brings marshmallows to their innocent bonfire, it probably would’ve been smart to toss them. Plotwise, this is a replica of the first movie with minor changes. What makes these stories amusing is how our comrades have to slowly piece together what actually happened in an effort to understand their current predicament. The difference this time is the lighthearted escapades have devolved into an ugly, horrific decent into hell, or more specifically Thailand. I generally feel movies have artistic license to stretch the truth, especially in the name of comedy. But seriously, if I was the minister of tourism in Bangkok, I would sue the producers. Never have I seen such filthy, disgusting squalor with no redeeming value whatsoever. It’s a truly unflattering portrait. Whenever someone goes missing, they’re casually dismissed with the phrase “Bangkok has him now”. I mean the city makes the Turkish prison in Midnight Express look like a stay at The Four Seasons. 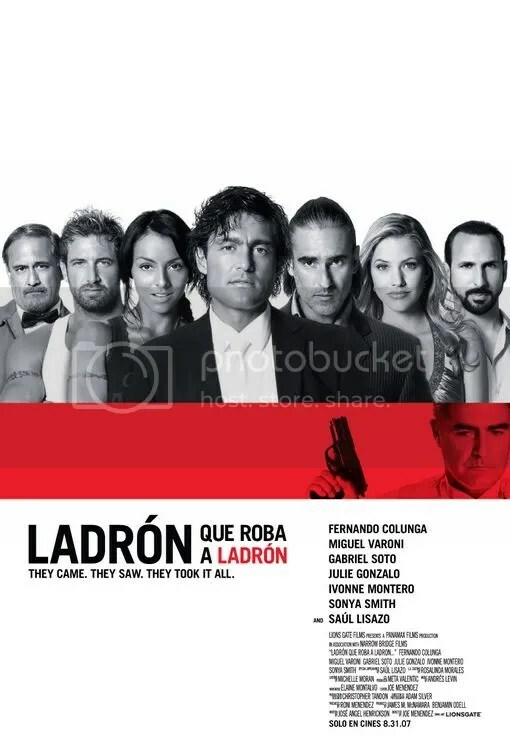 Isn’t this supposed to be a comedy? This is a grim story filled with unpleasant characters. Even the core circle of friends have lost their spark. Can I also add that I absolutely hate actor Ken Jeong as Mr. Chow? He elicits disgust more than laughs. In conclusion, I’d like to take a moment to discuss the nature of humor. I think everyone has limits as to what should be ridiculed. Some things aren’t funny. I realized one of those taboos at the completion of this film. Remember those silly photos that popped up while the credits ran at the end of part one? The ones the guys discovered on a camera that documented the night they couldn’t recall? Well like everything else in this movie, the idea is recycled again. One photo offensively recreates the infamous Vietnam War close-up of the brutal execution of a Vietcong prisoner. Each picture is on screen for mere seconds. Some won’t even catch it, others wont get the reference. But I did and I see no justification in exploiting a powerful image like that for a gag. Emotional story of a once successful salesman who has lost his job, his wife and even his desire to pick himself back up. 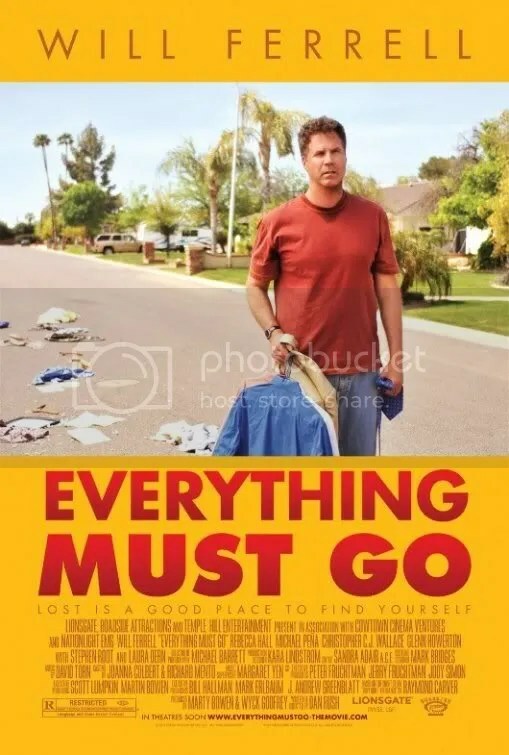 Everything Must Go is one of those comedies that’s not really a comedy. I suppose if you go in expecting a laugh riot, you will be disappointed. However, if taken as the presentation of a life that has fallen apart, it’s quite moving. Will Ferrell is rather impressive as the central character, Nick Halsey. As we spend time with him, he starts to make friendships: the boy whose mother works down the block, the woman across the street with the absent husband, the friend from high school he hasn’t spoken to since. As he interacts with these people we come to learn something interesting. Despite his own obvious fall from grace (he’s forced to live very publicly out on his front lawn after all), each person he meets seems to have their own issues that also make their existence far from perfect as well. The entire cast is great, but 14 year old actor Christopher Jordan Wallace deserves a special mention. He plays the neighbor kid in a surprisingly gentle and heartfelt performance. In real life he’s the son of deceased rapper Notorious BIG and Faith Evans. It’s in these various touching vignettes that display a lot of humanity. The script is based on a short story by American writer and poet Raymond Carver who was known for his minimalist structure. Nick Halsey is an unexceptional man, a typical component of the late author’s work. But that just makes his dilemma more palpable to the everyday person. No matter how bad things get, it’s almost nice to know that everyone has problems they’re dealing with. You’re not alone. That’s not a unique concept, but it is a comforting one. An idea personified with power. This subtle drama is incredibly low key. It definitely takes some time to warm up to, but if you have the patience, a meaningful film. Will Ferrell has shown his dramatic chops before (Melinda and Melinda, Stranger Than Fiction). I doubt he would ever receive an Oscar nomination for this part. The Academy Awards are just too far off. But it’s among the best, if not THE best, of his career. 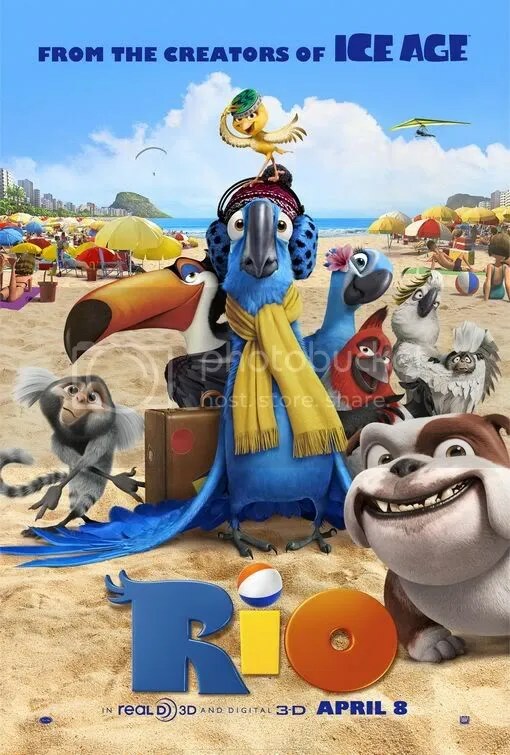 Blu, a baby macaw is captured in Rio and brought to Minnesota where he becomes friends with Linda, a human girl. When it’s discovered he is the last of his kind, he and Linda travel to Rio in order to meet his female counterpart. You’d think that any family movie whose plot was based on propagating the species would have a subversive edge that both adults and children could enjoy. Unfortunately that is far from the case. This is clearly aimed at very young kids who would find a fish-out-of-water comedy a radical concept. Much of the humor is portraying Blu, a domesticated Macaw, trying to adapt to the wild untamed city of Rio. I suppose if I was 5, the point of view might have seemed innovative. As it is, this is sadly nothing new. Upon meeting Blu, Jewel, a sassy female macaw with an attitude, wants nothing to with him. You see she’s fiercely independent. Didn‘t see that coming. There’s also the toucan that gives romantic advice. Most irritating of all are a canary and a cardinal, the pair are just too hip for words. In fact the whole cast is populated by garden variety stock characters. Only Nigel, a conniving cockatoo who assists smugglers, is mildly interesting. The best animated films will capture the spirit of the culture and people it portrays. The vistas in Pixar’s UP did wonders in conveying the atmosphere of South America. Here in Rio, the writers’ depth of understanding of Brazilian life is on a purely superficial level. Latin passions like Carnival and soccer are mentioned in an attempt to give it’s narrative some uniqueness. And a Brazilian ornithologist named Tulio in the movie is voiced by a genuine Brazilian actor, Rodrigo Santoro. But honestly, the Simpson’s trip to Brazil during its 13th TV season* felt more authentic than this watered down version of South American culture. Case in point: having New York actor Jesse Eisenberg voice the lead is acceptable within the story since he’s a Macaw raised in the U.S. state of Minnesota. But how to explain why native Brazilian female macaw Jewel is voiced by Anne Hathaway, an actress from New Jersey? At least speak with an accent. I heard more foreign language spoken in Beverly Hills Chihuahua. I admit ripping apart a cartoon for not being credible may feel a bit unreasonable. After all, it’s obvious intended audience is young children. It’s visually bright and colorful; and that helps a lot in making this adventure watchable for adults. However, we’re living in a golden age where pretty colors and shiny surfaces are no longer enough to justify a computer-animated film’s existence. Story and substance are important too. Pixar taught us that. Given the absolutely rote script and sitcom personalities, this is a rather uninspired journey into the mediocre and forgettable. There’s no reason why everything should be so flavorless and bland. * The episode was called “Blame It on Lisa” and aired on the Fox network in the U.S. on March 31, 2002. Medieval drama about a gypsy girl who comes to Paris and the physically disfigured bell ringer she befriends. The narrative’s success derives from how it captures the tragic plight of our bell ringer in Paris’ legendary church so perfectly. Society’s tendency to build someone up one minute only to tear them down the next, is likewise paralleled in Quasimodo’s story arc. First being crowned “King of Fools” at the festival one moment, then they’re publicly whipping him in the town square soon thereafter. The quality of the performances is what elevates this to a work of art. 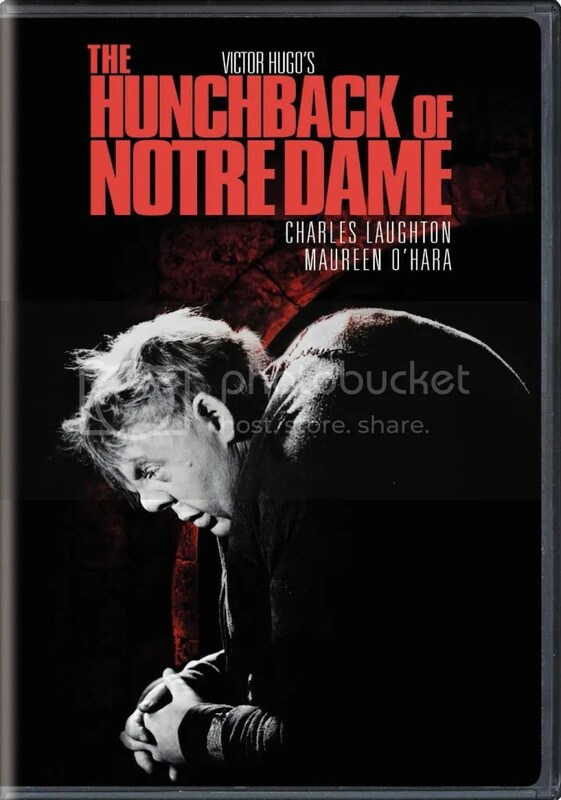 Charles Laughton gives the definitive performance in the sympathetic role of Quasimodo, the deformed hunchback of Notre Dame. A delightfully atypical choice for an actor often type-cast as people with arrogant or unscrupulous qualities. His expressive face speaks volumes. Indeed for the first third, he doesn’t utter a word. He’s supported by a stellar cast. Maureen O’Hara is radiant as Esmeralda, a lovely gypsy who inspires passion in several men. Her touching act of kindness toward Quasimodo at one of his darkest hours is a beautifully acted gesture filled with poignancy. At the other end of integrity is Frollo played by Sir Cedric Hardwicke. A villainous tour de force, he is a stern, deeply flawed individual consumed by earthly desire and a lack of accountability. Also worth mentioning is Edmond O’Brien in his film debut. Esmeralda’s chemistry with him as the slightly goofy poet-playwright Gringoire is sweet. Much more believable for example, than her relationship with Phoebus, captain of the King’s guards. Her brief infatuation with him feels more like a story construct to advance the plot, than an affair with any honest emotion. The production is highlighted by stunning set design. You might think the movie was filmed entirely in Paris from the vivid locations, but that is surprisingly not the case. Notre-Dame Square is a remarkable set at the RKO ranch. Whether it’s the elegant shots of ‘Festival of Fools’ carnival in the opening scenes or the storming of Notre Dame later on, the square is a character in itself. The Cathedral looms over it, an exquisitely realized vision of French Gothic architecture. The cast of hundreds further bring magical life to the city. The drama takes a very simplistic, but refreshingly straightforward approach. Subtlety, however, is not director William Dieterle’s strong suit. From the intro we’re explicitly told the late 15th century is a time of superstition and prejudice. Paris is not a society tolerant of outsiders. From criminal gangs to the gypsies of Europe to Quasimodo himself, there were many outcasts of society. The story is painted in bold strokes. At times the script can be fairly simplistic, particularity with dialogue that is obviously manipulative. Many in the government oppose progress and political reform. Frollo, in particular, views free thought as subversive and leading to violence against the state. This is manifested in his single-minded focus to thwart this new invention called the printing press. Immediately upon the introduction of the device, his 20/20 foresight predicts it to be a dangerous tool that could be used to denounce the government. Seems more like an anachronistic projection than genuine cognitive ability if you ask me. Nevertheless, it does wonders in readily inciting the audience’s dislike of him in the first 10 minutes. The reverent presentation of religion is an unexpected attitude that bears a mention, particularly for the 21st century audience. When Esmeralda first finds herself in the sanctuary of the Cathedral, her prayer to the Virgin Mary is sincerely moving, especially when contrasted to the self-serving prayers of the rest of the congregation. Furthermore, in the movie the Archdeacon, Claude Frollo, is a model of justice and virtue. This is a change from the character in the book where he was a clergyman overwhelmed by lust. Here, it is his younger brother, Jehan Frollo, that becomes the main antagonist instead. He opposes progress and political reform, so that forms much of his discord with the church. That he bitterly struggles with his attraction to Esmeralda is a bit harder to understand since he isn’t even a member of the clergy at all, but rather a sexually repressed judge and adviser to Louis XI, who simply wishes to be pure in thought. 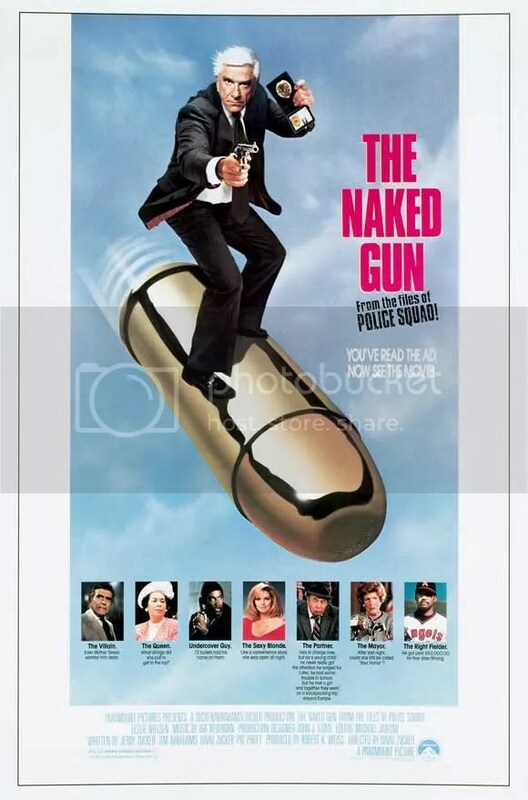 This probably had less to do with artistic license and more to do with the Hays Code which forbade depicting members of the clergy in a negative light. Still, it’s unexpected to see religion and even the church itself presented as an example of integrity and open-mindedness in thought. Despite the many adaptations, few would argue that is the definitive version of the classic 1831 novel by Victor Hugo. (In 1996 Walt Disney Feature Animation produced a competent animated rendition which was heavily influenced in style and tone by this version.) Performances and set design combine perfectly to create a sweeping historical epic for the ages with a surprising amount of human intimacy. Whether it‘s 15th century France or elsewhere in the modern world, the film‘s themes transcend time and place. Melancholy romantic drama about two American women on holiday. They soon meet an artist who invites them to vacation with him for the weekend. After a trio of films in London, Allen continues his European fascination with this story set in Spain. Despite the beautiful location shooting, this is essentially your standard issue Woody Allen tale of neurotic New Yorkers moaning and groaning about relationships. His ideas about love are oddly misanthropic. Vicky and Christina as tourists act like spoiled, rich American brats taken in by the first charismatic lothario that seduces them. Divorced painter Juan Antonio Gonzalo’s mantra? “Only unfulfilled love can be romantic”. That is to say, only the excitement of the chase is passionate, specifically the process of falling in love. He’s at the center of a Casanova fantasy that believes any woman’s depression can be undone by a good roll in the hay. Yet, these women don’t even seem to know what they want and that’s the point. The performances are indeed expressive. As always, the dialogue is natural and it flows. Scarlett Johansson, in her 3rd effort with Woody, is capable as the shallow, free-spirited Christina. Also memorable is Rebecca Hall as the supposedly conventional Vicky. Given her conspicuous absence on the movie posters, she surprisingly has the single largest role. Although both of their principles (or lack of them) feel genuine, it doesn’t make them any less emotionally weak. They’re pretty delusional. For all the recognition lavished on Penelope Cruz, she makes her first appearance well into the second half of the picture. For once, she’s allowed to speak Spanish in an American production, and she’s all the better for it. To her credit, she doesn’t fit your typical Woody Allen character, but she does come across as a bit of a madwoman. You may be captivated by the chronicle’s scenic charms, particularly if attending an outdoor Spanish guitar concert at night is your idea of heaven. I admit the celebration of Spanish culture is intoxicating. Curiously, this became Woody’s biggest hit since Hannah and her Sisters, slightly out-earning the far superior Match Point. In the face of glaring flaws, Vicky Cristina Barcelona remains an interesting, albeit pessimistic critique on love. 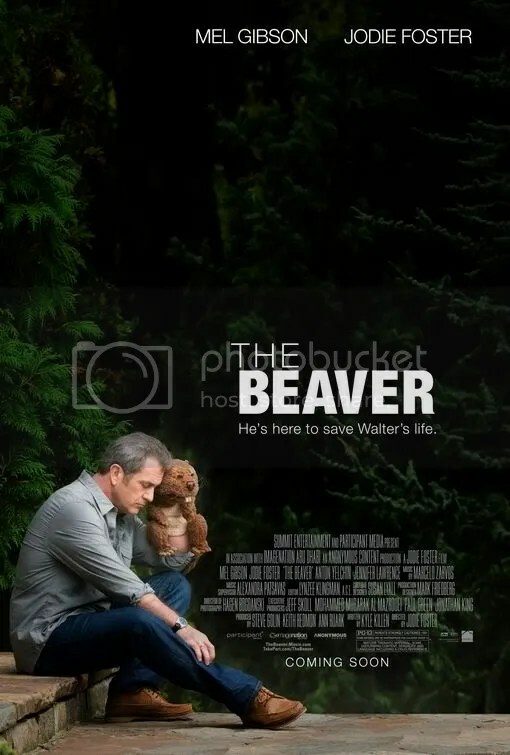 Quirky account of a man suffering from mental illness who communicates using a beaver hand puppet. Strange film is a weird mix of dark comedy and poignant drama. If you can cuddle up to the story’s offbeat rhythms, then you’ll probably enjoy this unconventional tale. For the most part, it isn’t funny, but deadly serious. A movie like Lars & The Real Girl for example, had a charm to it that presented its narrative as amusing, so it felt ok to laugh. Here laughter feels inappropriate as his condition is grim. Yet his friends and family don’t treat his predicament as such. Their bemused annoyance is apparent in every scene. I found it aggravating that no one seemed concerned enough to sincerely reach out and truly help him. The script does make some extremely intelligent points, however. That a person’s success will encourage people to permit ultimately destructive behavior is a particularly biting attack on contemporary culture. The obvious parallels to a certain sitcom star are coincidental perhaps, but very timely nonetheless. There is a clear objective to the story too. It’s well written and all of the little vignettes actually add up to something in the end, so I give writer Kyle Killen’s debut script credit for that. I only wish we had deeper insight into his disability. He’s already mentally unbalanced right at the beginning, but we don‘t know to what extent. Furthermore, we never see him as healthy, so it’s difficult to appreciate how he used to be and got to this stage. That might have made the tragedy of his deterioration a bit more compelling. Any review must address the Mel Gibson situation. His problems with alcohol and public drunkenness linger. His subsequent rants have been so well documented, they’re impossible to ignore. I suspect, if anything, this fiction benefits from his notoriously real image as persona non grata. What better actor to play a man on a downward spiral? Although the issues involved are different in scope, there are definite similarities in life imitating art. Or in this case, the other way around. Alternatingly bawdy and sweet-tempered comedy regarding a maid of honor who feels like she’s losing her lifelong friend as the wedding approaches. Despite the large ensemble, this is without a doubt, the Kristen Wiig show. She has always been a valuable addition to the supporting cast in her previous films. Here, it’s nice to see her in a starring role. She is also the co-writer of this Judd Apatow produced script and (perhaps not surprisingly) the focus of the entire movie. Annie Walker‘s life begins to spiral out of control as she helps the bride-to-be plan for the big day. Much of the humor concerns the new closeness her bestie has made with the wife of her fiancée’s boss. Helen Harris is an aristocratic beauty, memorably played by Australian actress Rose Byrne. Annie is rather eccentric and it’s the type of part where a lesser thespian might have come off as obnoxious. It isn’t easy to play an individual that is graceless, pathetic and awkward, but also sweet, likable and sympathetic. Don’t ask me how she does it, but Kristen Wiig imbues her character with all of these qualities. We side with her even when she’s acting unreasonable. Witness the brilliant early scene where Annie toasts her best friend at the engagement party only to keep returning to the stage to top Helen’s toast. Their back and forth one-upmanship is one of the most hilarious things I’ve seen in a long time. When they start singing, you’ll be on the floor. In addition to Rose Byrne, Kristen Wiig is surrounded by a stellar cast of comparative unknowns as the motley bridesmaids. Each one a distinct, albeit bizarre, personality. Actress Melissa McCarthy, as less than refined Megan, is an absolute scene stealer. From the marketing, this would appear to be a chick flick version of The Hangover. Like that successful hit, it’s definitely raunchy in parts, but the plot isn‘t at all similar. I mean these girls never even make it to Vegas. It’s a funny comedy that stands on its own, a perceptive observation on friendship. I think anyone who has ever been envious of a rival can easily identify with, and actually love this witty and intelligent farce. 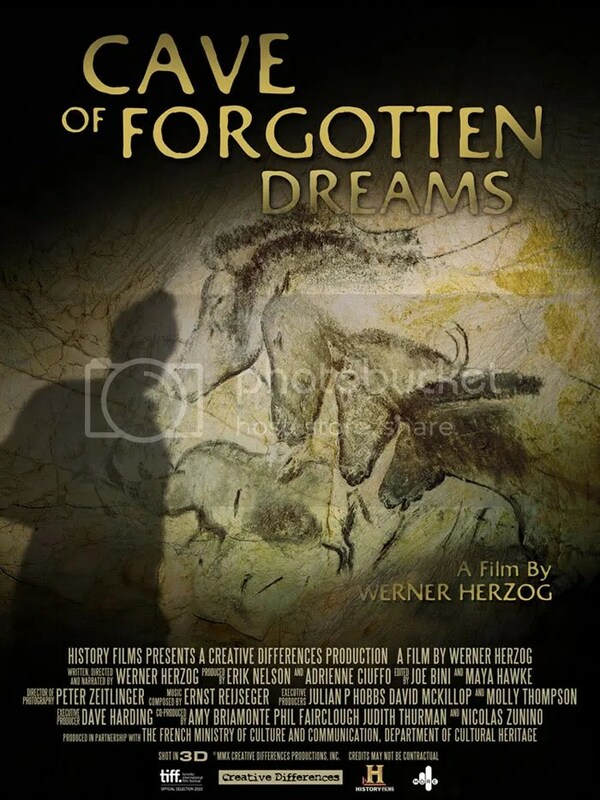 Werner Herzog, eccentric legend of the New German Cinema, directs and narrates this documentary about the Chauvet Caves in France. Discovered in 1994 they are home to the oldest drawings in the world today, dating back over 30,000 years ago. In an effort to preserve the archeological find, the general public are not allowed to enter. The French government has even vigilantly restricted access within the caverns. This then is a rare examination of this historical treasure. The unprecedented look is the film’s biggest asset. The documentary has sort of a two faced duality to it. When Herzog is filming inside the caves and allows the natural and manmade wonders to speak for themselves, the presentation is otherworldly and magical. The prehistoric drawings are astonishingly well preserved and surprisingly have a lot of artistic style. The appropriate music underscores their beauty. But unfortunately we’re also subjected to talking head interviews of various paleontologists, archaeologists and art experts. By the time a perfume sniffer is imposed on us, the tedium is mind-numbing.